Years of Surfing: I started surfing when I was six years old. 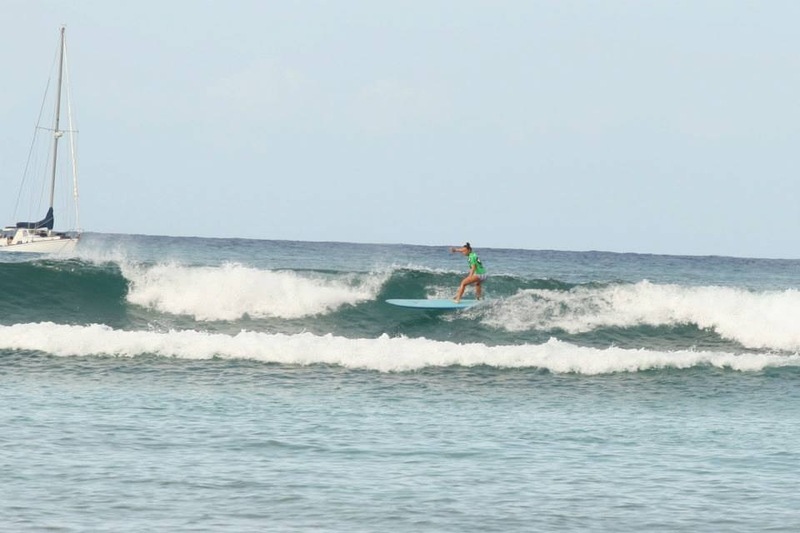 I began to get more serious about surfing when I was 13 because I wanted to begin competing. I practiced for a year and I learned tricks such as noseriding by watching the other surfers at Queens. Finally when I was 14, I entered my first contest. Now, I continue to practice so that I can do well in contests. I mainly surf because I enjoy everything about it and I have fun learning new tricks. Favorite Surf Spots: My homebreak is Queens, Waikiki. I also enjoy Canoes, Pops, Concessions, Gas Chambers (on a small day), Pua’ena Point, and I am open to trying out new spots. 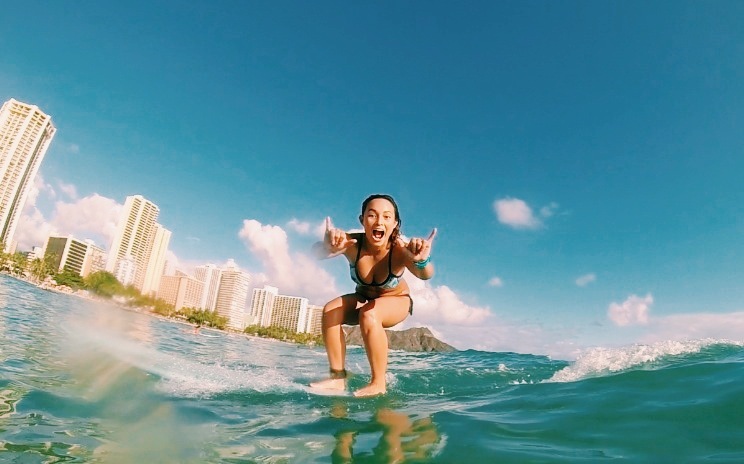 Role Models For surfing: I look up to Kelia Moniz. She has such a free spirit and is always having a great time while she is in the water. She takes it seriously but she knows how to enjoy herself. She is really kind to everyone she meets, and she is not full of herself. Other Hobbies: I make jewelry out of shells that I dive for or find on the beach. My friends and I started selling our jewelry about 2 years ago. It is called Beach Bum Jewelry, because we all enjoy the ocean and our jewelry is shell based. Another hobby I have is painting and drawing. I enjoy the freedom of creating artwork based on what inspires me. Most of my paintings are based off of surfing. Heather Brown is a huge inspiration to my artwork, because I really enjoy her paintings. I also sing for the Worship Team at my Church. Our worship team has played for many events at other churches. Through this, I have learned to be more confident and I also became a better singer. I absolutely love wearing honey girl suits while I surf because they are comfortable, they stay in place, and they are super cute! Favorite Honey Girl Tops: Amber Keyhole Top, Sasha Sport Top, Jules Sport Triangle Top.